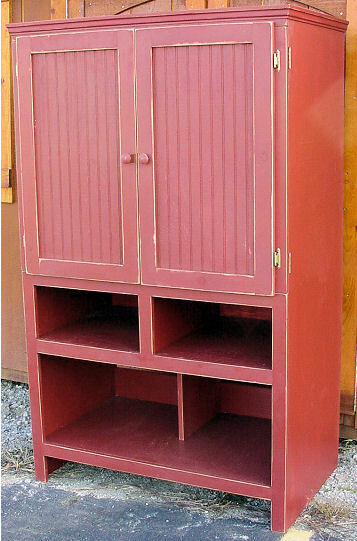 This TV Armoire was a Custom Order. The doors are double hinged so you can open it straight out or fold them back against the sides. It has plenty of room for your stereo and video components. This was a beautiful example of Custom Made Furniture. We can make a place for you to hide your TV.